Slice the tomato in half and in half again, cut each wedge into 3 pieces. Slice the beetroot in half and in half again, cut each wedge into 3 pieces, the beetroot should be the same size as the tomato. Line a large baking sheet with baking paper and spray with oil spray. Cut Pastry into 8 even rectangular pieces, place onto bake sheet. Leave a 1cm edge on the pastry, place 1Tb mozzarella cheese and 1tsp parmesan cheese, layer beetroot, tomato, beetroot, tomato, sprinkle with salt and pepper. Finely chop parsley and shallot, place into a small bowl, add 2Tb olive oil and 1Tb balsamic vinegar, stir to combine. 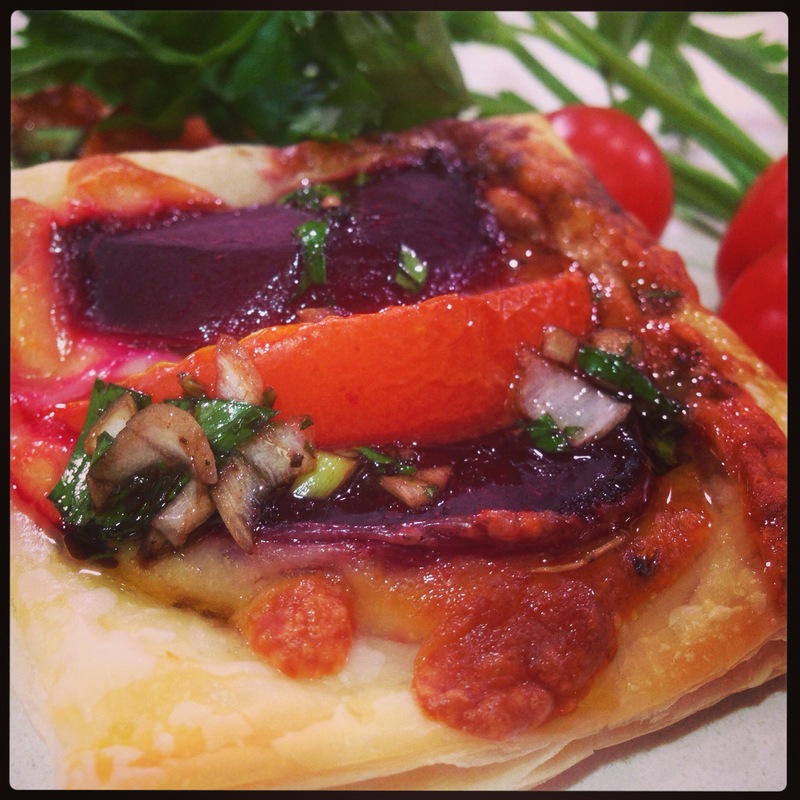 Drizzle tarts with dressing; serve with a side salad if desired. Tarts can be made into other shapes if desired.